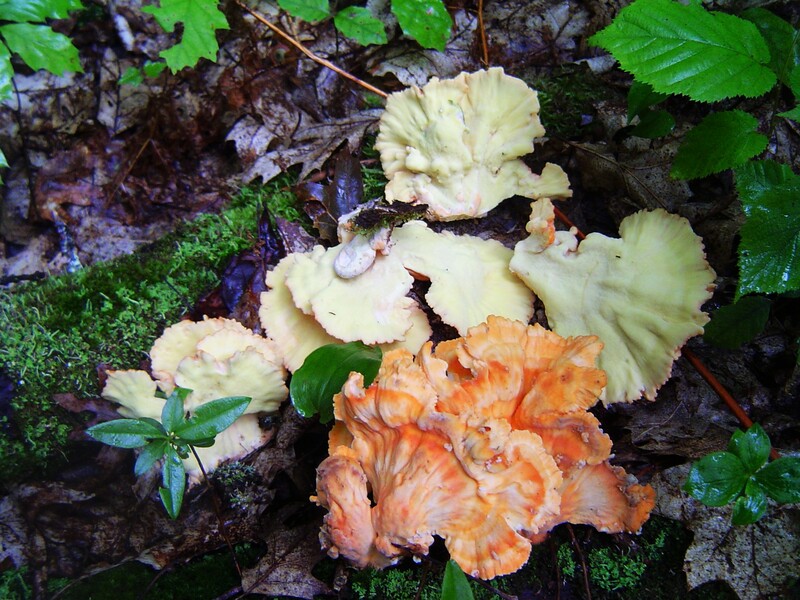 A new page started Mar 2018 to share a few wild mushrooms I enjoy eating that need in my opinion a little more focus in gathering & preparation due to being known to present digestive difficulties at least for some folks and even possibly higher percentages ( example ) 10% to 15% of the people, some just require extra prep work for various reasons. 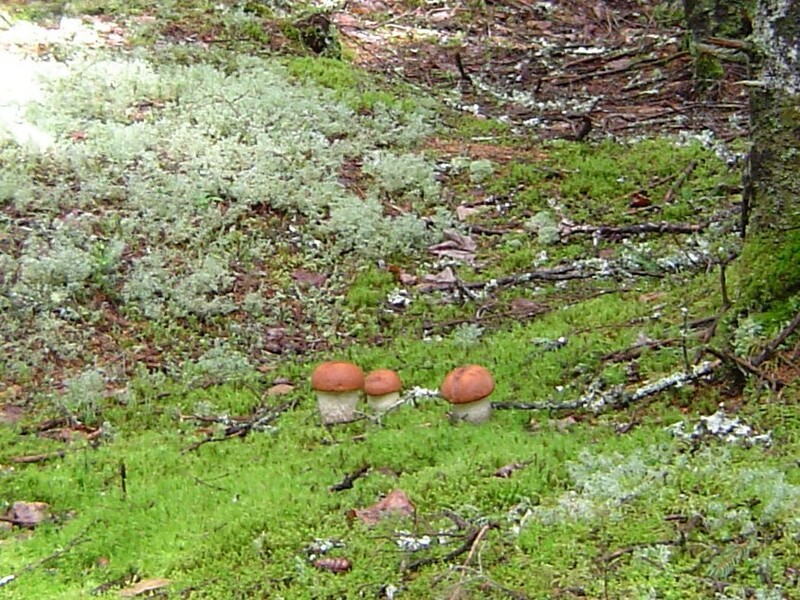 It should be said that all mushrooms on my main page of (Wild edible mushrooms) could also potentially be a food some folks will not tolerate well, as is the case with any plant, vegetable, fruit or mushroom wild or cultivated. Always cook well and try small quantities and as important (gather for food only fresh young mushrooms), nothing on the mature side is wise to gather for food. Be just as selective while gathering wild food as you are when purchasing any fresh food at a market. If you look around the world it is interesting to see the differences in what is considered the good edibles and what is considered safe edibles in different countries or even different cultures & areas within the same country so bare this in mind. Many wild foods and medicinals have not been fully researched and many gems will remain hidden till finally revealed in the future. 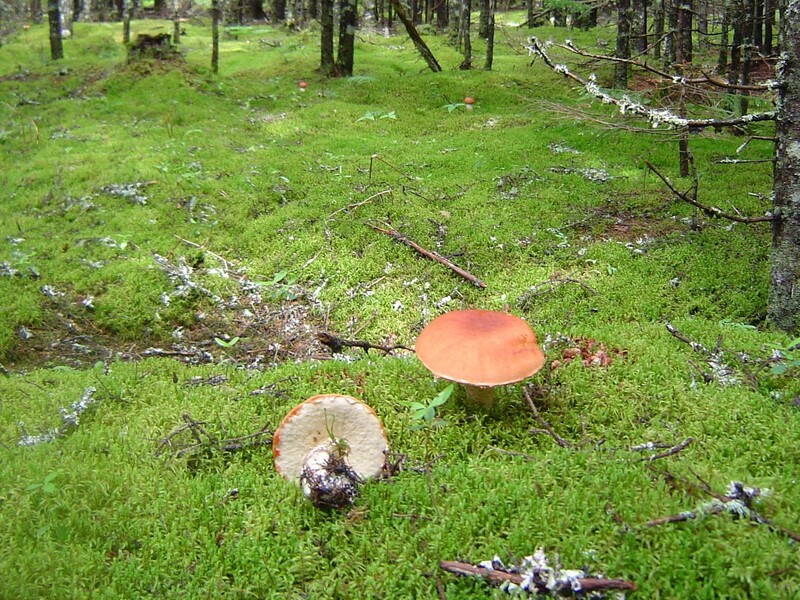 Presently soil type and many other enviromental factors can be involved so this information presented here specifically applies to wild mushrooms gathered in an assumed safe forest in southeast NB Canada. Due to localized safety concerns I often bypass far more wild foods than I gather, it is wise to stay up to date with what is the current situation and what has gone on in the past in your gathering grounds and you always need verification of any wild mushroom you have not gathered before, there are usually several look-alikes so seek out someone with experience with the mushroom in hand and get very familiar with it in all stages of growth. 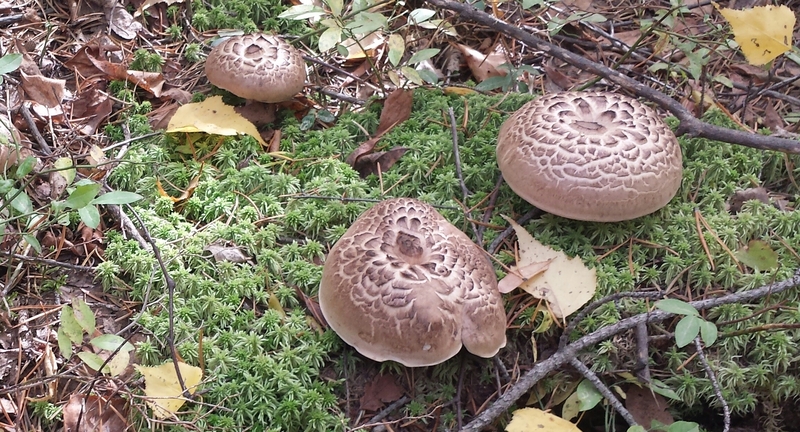 It is important to look, touch and smell, really examine any new mushroom plus the soil and surrounding forest. What I present here is only a small piece in what is necessary to gather the below mushroom. It is up to you to seek out expert help in your area. I have avoided getting into field characteristics very intentionally here. 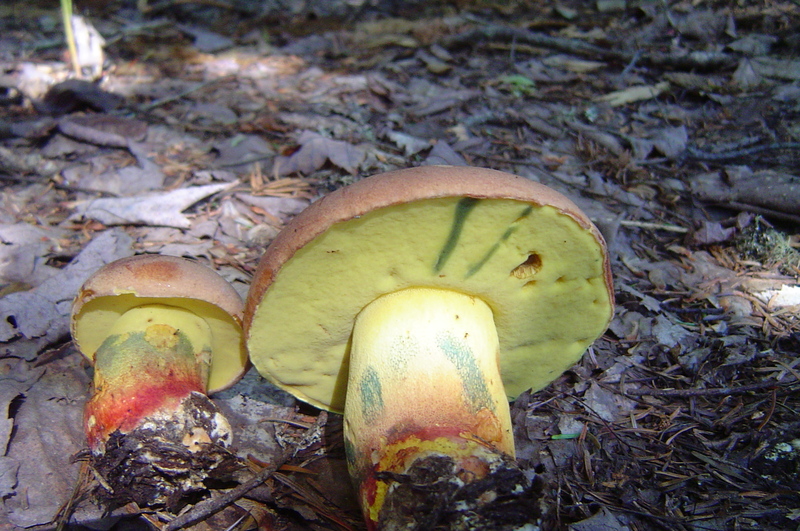 Butyriboletus brunneus, this is a member of the butter boletes and this group of mushrooms do cause digestive problems for some people, plus at least some butter boletes need to be cooked well and not eaten in large quantities, Butyriboletus brunneus should be treated with the same respect. 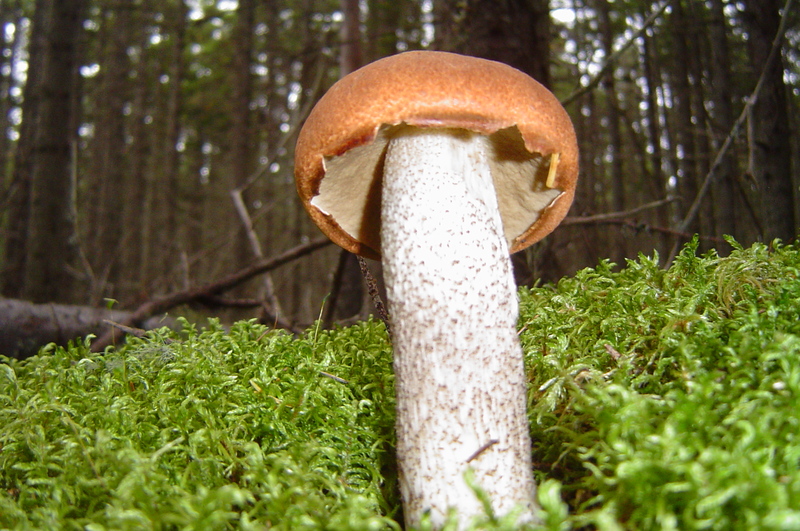 Dried or powdered Butyiboletus brunneus should be will cooked after rehydration. Leccinum piceinum, Leccinum mushrooms should be very well cooked just as the Blusher and Black Morel require. 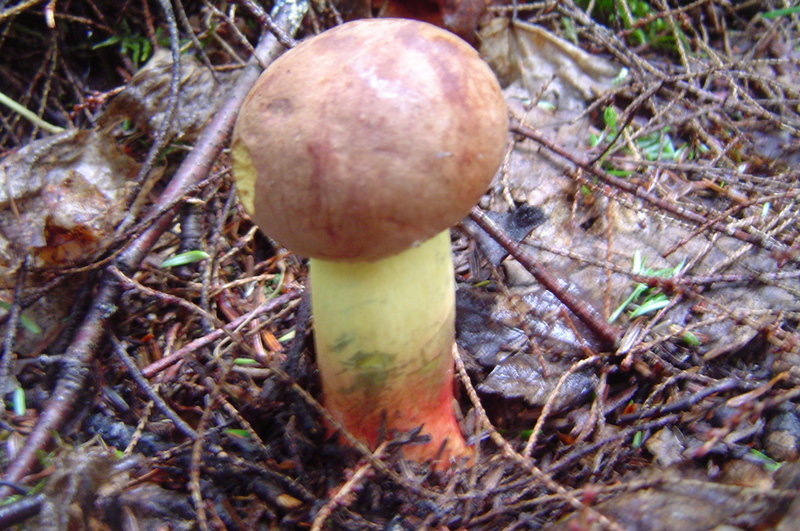 Leccinum mushroom especially red and orange capped are difficult to ID and there could be a few that may cause serious issues. 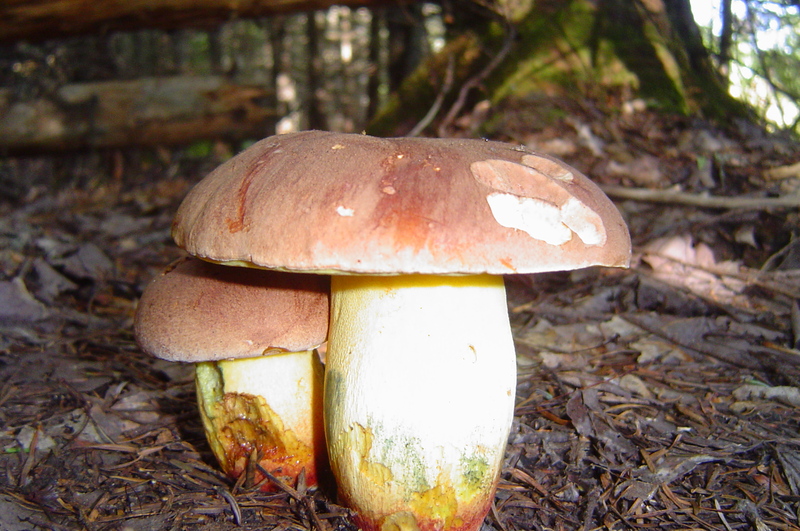 I only gather a few types of Leccinum mushrooms and primarily stick with the easiest to identify L piceinum which grows in mature spruce forest, only gather young mushroom with caps firm, dry fry well to release most of the moister and then butter or oil fry to finish. Dried or dry powdered mushrooms should be well cooked when used in soups or for example a spaghetti sauce. Sarcodon squamosus, just started eating this one in 2017, so far very impressed with it. Many sources advise cooking well which I followed. Dried or dry powdered mushrooms need to be cooked well also. 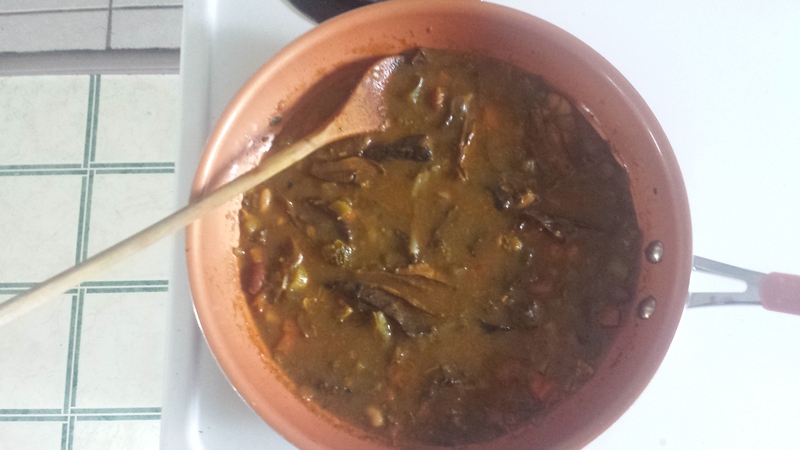 Dried mushrooms look and taste good in soups. 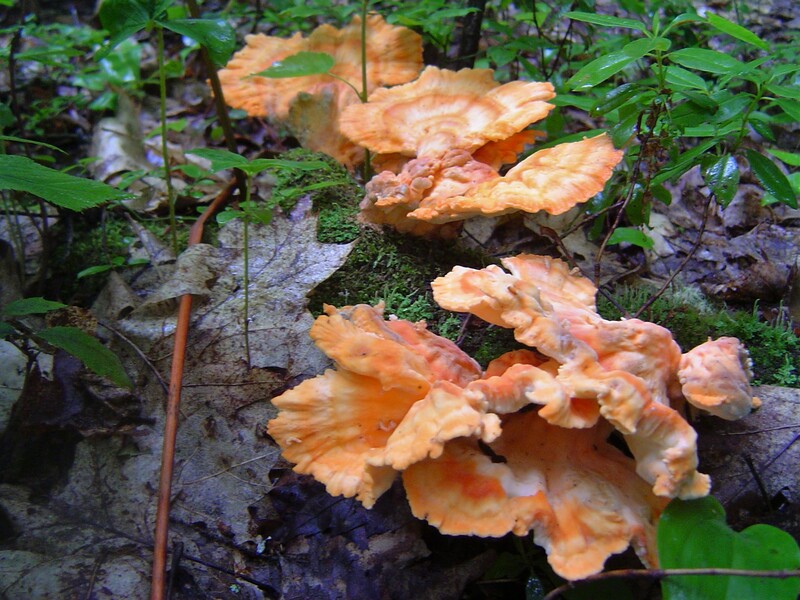 Laetiporus sulphureus, I’ve only eaten Chicken of the woods that grow on Oak trees, I find they are very good fried. 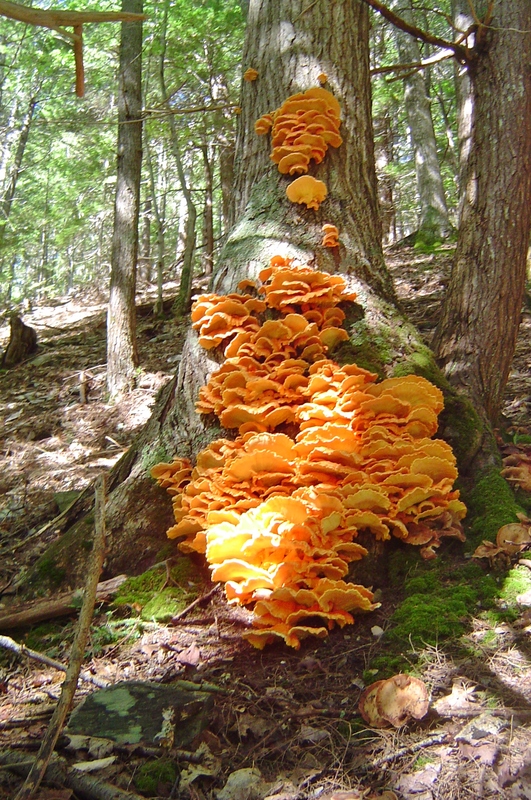 I will try Laetiporus huroniensis which grows on Eastern Hemlock next time I find them in good shape as they are also listed as edible on the excellent mycoquebec website. 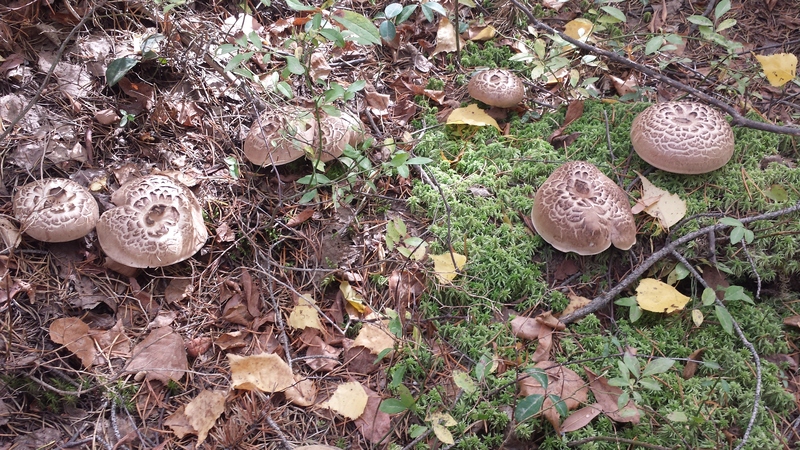 These mushrooms do not agree with everyone, best to eat only the very young ones well cooked, even then some people will have digestive troubles.